Joe Natale joined Rogers as President and Chief Executive Officer on April 19, 2017. 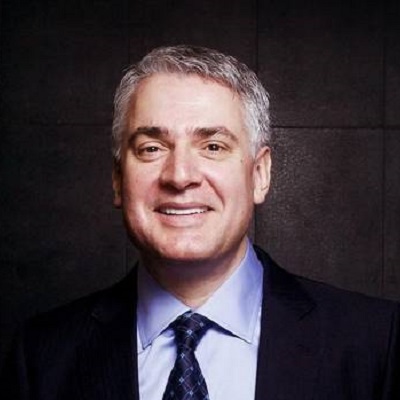 Prior to joining Rogers, Joe was President and CEO at TELUS Corporation. He first joined Telus in 2003, holding a number of senior positions including President of Enterprise Solutions, President of Consumer Solutions and Chief Commercial Officer. Prior to 2003, Joe held successive senior leadership roles within KPMG Consulting, which he joined after it acquired the company he co-founded, PNO Management Consultants Inc., in 1997. In addition to the CivicAction Leadership Foundation, he currently sits on the Board of Directors at The Hospital for Sick Children and Soulpepper Theatre Co. He is a past recipient of Canada’s Top 40 under 40 Award. A passionate, customer-first executive, Joe has a proven track record of delivering strong financial and operating results in a highly competitive and dynamic environment. Joe holds a Bachelor of Applied Science degree in Electrical Engineering from the University of Waterloo. He lives in Toronto with his wife and children.